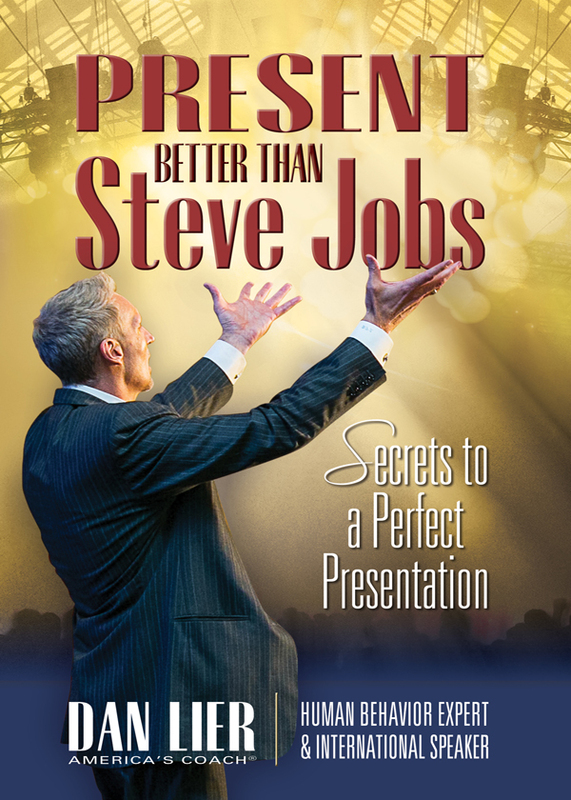 Present BETTER than Steve Jobs is a straight-forward guide to increasing your public speaking and presentation skills. Dan Lier, one of the most sought after speakers in the genre of success and achievement, shares his secrets to a perfect presentation. Complete with specific examples, scripts and BONUS links to instructional videos, this book will increase your speaking skills and your self-confidence. Lack of public speaking or presentation skills can hold back career advancement and achievement in any field, and this book will give you the foundation to build your skill-set and build your confidence. Present BETTER than Steve Jobs is based on the premise of those of us who are not celebrities or public figures must know how to structure and deliver a message that is both interesting and impactful. Celebrities, athletes and TV personalities don’t have to be good speakers and often times are not, but no one cares. People just want to hear them speak. If you are not a celebrity, athlete or TV personality, you must know how to connect with your audience and deliver a solid message EVERYTIME! Dan shares his experience as a field sales rep with Tony Robbins and how he learned the skills that elevated him to one of the top speakers today. You will also receive tips on how to create opportunities to speak in public and build your skills. Dan Lier is an expert in human behavior and his proven skills will assist you deliver a quality message that your audience will connect with and retain. Being a solid public speaker or presenter is a learned skill, and this book will teach you how to improve your skills and be a great public speaker and communicator. Whether you are an executive or a parent, the skills in this book can be used for presentations, selling and communicating with a large or small audience. You can purchase the book online from Amazon or Smashwords in multiple eBook formats at https://www.smashwords.com/books/view/366200.